To help students communicate their mathematical thinking, many teachers have created classrooms where math talk has become a successful and joyful instructional practice. Building on that success, the ideas in Why Write in Math Class? help students construct, explore, represent, refine, connect, and reflect on mathematical ideas. Writing also provides teachers with a window into each student’s thinking and informs instructional decisions. Focusing on five types of writing in math (exploratory, explanatory, argumentative, creative, and reflective), Why Write in Math Class? 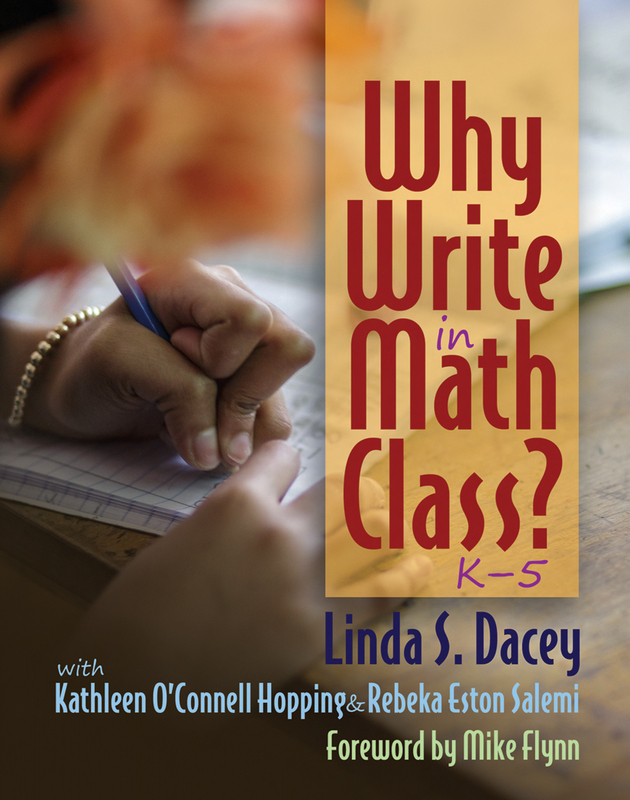 offers a variety of ways to integrate writing into the math class. The ideas in this book will help you make connections to what you already know about the teaching of writing within literacy instruction and build on what you’ve learned about the development of classroom communities that support math talk. The authors offer practical advice about how to support writing in math, as well as many specific examples of writing prompts and tasks that require high-cognitive demand. Extensive stories and samples of student work from K-5 classrooms give a vision of how writing in math class can successfully unfold. Whether you are a new teacher seeking resources to help shape your mathematical community of learners or a seasoned veteran looking to spice up your students' experiences in your classroom, you'll find this book incredibly helpful. Kathleen O’Connell Hopping, a Lesley University graduate, received her Master of Education in Curriculum and Instruction from Boston University. While at Lesley she met Linda Dacey, the professor most responsible for Kathy’s evolving love and understanding of mathematics. Rebeka Eston Salemi is a kindergarten teacher at the Lincoln School in Lincoln, Massachusetts. From the beginning of her career to the present she has firmly committed to being a classroom teacher who puts her students and their growing understandings and confidence at the heart of what she does.